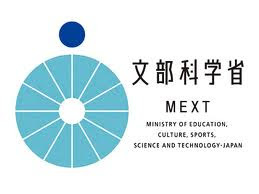 The International Graduate Program for Advanced Science (IGPAS) was initiated in October 2004 as one of the first International Priority Graduate Programs supported by the Ministry of Education, Culture, Sports, and Technology (MEXT). The lecture courses are taught in English, and the students are not required to learn the Japanese language, although you are encouraged to learn it for your daily life. Scholarships and housing opportunities are available to make it easier for students from developing countries to apply. Since its establishment in 2004, 31 students from 19 countries have earned Master of Science degrees, and 24 have earned Ph.D. degrees, as of September 2011. * Those who will come to Japan from a foreign country newly for IGPAS admission. * Those who were born on or after April 2, 1977. * Those who intend to complete the master’s and doctoral programs within five years from admission. * Those who satisfy the application requirements designated by MEXT. Demikianlah informasi mengenai 2012 Mext Scholarship for International Graduate Program for Advanced Science semoga berguna bagi anda.